Numerical targets to reduce coal and steel production capacity have, for the first time, been set in the annual Chinese government work report. China will reduce steel production capacity this year by around 50 million metric tons and shut down at least 150 million metric tons of coal production facilities, Premier Li Keqiang said Sunday in a government work report to the fifth session of the 12th National People's Congress. Last year's government work report promised capacity-cutting in the two industries, but did not specify targets. In 2016, the country reduced coal capacity by 290 million metric tons and steel capacity by 65 million metric tons for steel, said the premier. Continued capacity reduction is in line with market expectations. China is the world's largest producer and consumer of steel and coal, but gluts can have implications such as depressed commodity and materials prices, reduced profits of debt-ridden firms, and increased non-performing loans that jeopardize financial stability. While capacity cuts are necessary and have long-term benefits for the economy, the process has not been without challenges. Capital-intensive industries present potential investment, taxation and jobs for local governments, which in at least two cases broke capacity-cutting rules set by the central government. Huada Steel in eastern China's Jiangsu Province and Anfeng Steel in northern China's Hebei Province were identified by authorities in December for violating capacity reduction efforts in the sector with "extremely bad influence." Thanks in part to the efforts, China's broader economic growth has showed increasing signs of stabilizing since the latter half of last year, with indicators such as factory prices and industrial profits seeing significant improvements. "Overall, the negative impact on growth and employment is manageable," wrote UBS economist Wang Tao in a note on excess capacity. One key initiative in excess capacity reductions is to shut down "zombie companies," which are loss-making, debt-laden, and dependent on government subsidies or bank loans. "We will strictly enforce all laws, regulations and standards on environmental protection, energy consumption, quality, and safety and make more use of market- and law-based methods as we work to address the problems of 'zombie enterprises'," said the premier in the government work report. 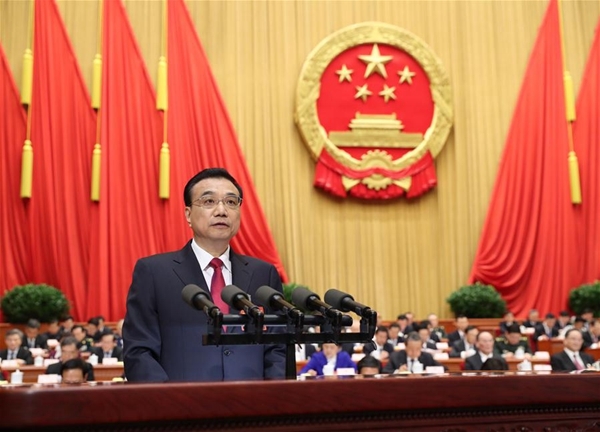 For workers laid off because of capacity cuts, the central and local governments will allocate special funds and take measures to ensure they find new jobs, Li said.